One of the ways I try to be a little more green is to avoid disposable products where I can. I thought I would share some of the ways I try reduce and reuse and throw less stuff away. Just about every grocery store you go to anymore sells these reuable totes for about a buck. It is true that they take a lot more material to produce these than throw away plastic bags but they hold up well and you can use them for a long time. I have had mine for 3 or 4 years now. When I used to grocery shop I would easily end up with 10 or so plastic bags every week. That adds up! I have a different color bag that I reserve for raw meat that I hand wash every so often but the others I never have felt the need to wash. They are very sturdy and the straps are really long so I can put them over my shoulder. I can usually bring in the groceries and the baby in one (heavy) trip. Bonus! Buying water is hardly an earth friendly thing to do but our tap water here in Arizona is pretty undrinkable. You hear stories about peoples pets getting kidney stones from the water here. It's nasty stuff. 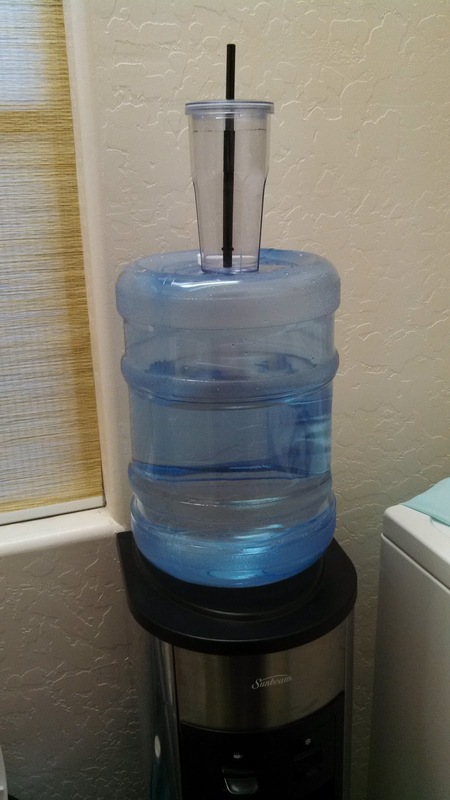 In order to avoid buying water bottles, gallons of water or even replacing filters all the time we got ourselves a water cooler. We refill the 5 gallon containers at the water and ice store for about $0.25 a gallon so we save money compared to water bottles and avoid throwing away plastic bottles or filters. I have a specific portable water glass I use all the time so I am not constantly washing a million glasses and always having that around reminds me to keep hydrated. This works out great for us! Disposable diapers are one of the absolute worst things for our landfills! They take several hundred years to decompose not to mention all that human waste just sitting out there with all the trash creating a potential health hazard. 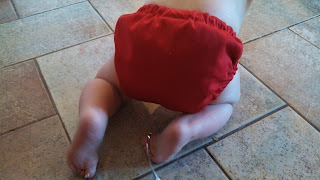 Cloth diapers also save us money over disposables. And we will be able to use them for multiple children. I think this is a big win for our environment! We use the sprout change and love it! The absorbent inserts are made of organic cotton and hemp. Because of the super absorbent hemp these are nice thin inserts so my super mobile baby is not held back by the bulk. And the covers come in great fun colors! When we practice elimination communication we are using fewer cloth diapers and doing less laundry. He is likely to become toilet independent early due to our elimination communication so there is one more step to making my baby's poop even more green! 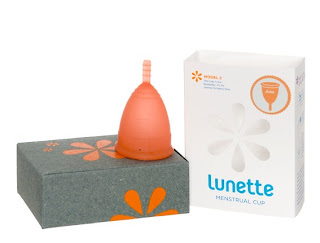 I no longer throw away any pads or tampons and now use a reusable menstrual cup. It is a little intimidating at first but once you get used to it it's great! It is just as comfortable as a tampon and you can leave it in up to 12 hours. The cup will last for years saving me money and helping me avoid throwing away hundreds of tampons or pads. I use the Lunette Cup and really like it. The Diva Cup is another popular brand. 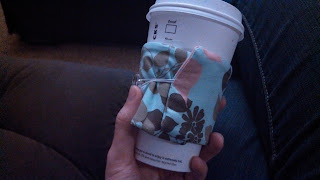 My sister made me this cute coffee sleeve as part of a gift. I take it with me and use this instead of the disposable sleeves they provide at the coffee shop rather at the drive through or if I stay and sit. Really what I should do is stop buying and drinking sugary coffee, but I don't see that happening any time soon to be honest. At least I can make my habit a little bit greener. Breastfeeding has been a wonderful experience for my son and I for many reasons but one additional benefit is that it is friendly to our environment. We don't buy formula which means no waste, byproducts or pollution from the production of formula. No pollution from the shipping of formula. No throwing away packaging from formula. No water needed to wash bottles or run the microwave or stove to warm a bottle. By breastfeeding my son is "eating local" and getting his food directly from the source! 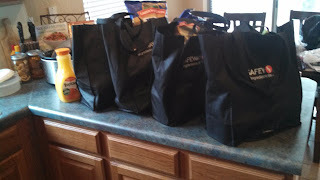 My next steps in eliminating the disposable products we use in our home include reusable produce bags for grocery shopping, using dish towels instead of paper towels (I need to get some more! ), using a cloth handkerchief instead of tissue, and I really want to figure out a good alternative to disposable razors (maybe an electric razor?). If you want some more amazing tips check out Zero Waste Home. Bea is the queen of eliminating trash and thinking green! What do you do to avoid throwing away disposable products in our landfills?